The goal is to read as many novels that feature men in uniform as you’d like. It can be a policeman, firefighter, paramedic, doctor, veterinarian, Army, Navy, Marine Corp., etc. – As long as the leading man wears some sort of uniform, it counts. See the different levels below and pick the one that works best for you. Nothing is set in stone; you can change levels at any time during the challenge. Go to The Book Vixen and grab the reading challenge button and post this reading challenge on your blog to track your progress. Please include a link back to this sign-up post so others can join the reading challenge too. You do not have to be a book blogger to participate; you could track your progress on Goodreads or LibraryThing. I'm going for Sergeant since I read cozies where there are no men in uniform. I'm going to get creative, though. Instead of finding a police procedural, I'm going to dig around the cozy mystery books and find an amateur sleuth (or surrounding character) who works in uniform. Today marks the last day of the Married To Murder Blog Tour and I'm delighted to end it with the review on Finding Your Gibbee's Blog. I'm guest-posting today at Elizabeth's Silver Reviews Blog for the 14th day of the Married To Murder Blog Tour. I talk about how CHARACTERS inspire me to write. Day 13 of the Married To Murder Blog Tour - Sabrina Ricci at Musings & Marvels reviewed Married To Murder. Day 12 of the Married To Murder Blog Tour. 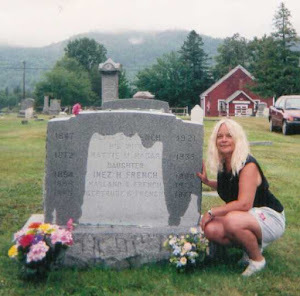 Today I'm at my Mom's Blog (Ellie Oberth), Dead Herring. I've written the Ella Westin Poem - go read it!! Book Lover's Holiday Giveaway Hop Winners!! Yes, you read that right. I said winners. I loved the excitment in the Blog Hop and comments so I made an executive decision and pulled two winners out of the hat. Congratulations, girls! I hope you enjoy reading Married To Murder as much as I enjoyed writing it. It's the 11th day of the Blog Tour - whew! 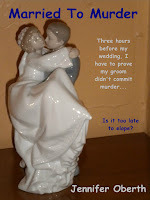 The lovely Emily Mayhem, of the Divine Chaos Blog, wrote up a great review of Married To Murder. Somehow, I wrangled Ella Westin into an interview. She is the main character of Married To Murder and wasn't very happy about the arrangement but you can read all about it on John Hansen's Blog, The Incessant Droning of a Bored Writer. I, myself, find it hilarious!! 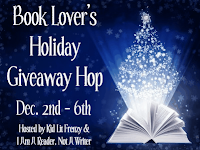 Don't forget - today is the last day to enter the Book Lover's Holiday Giveaway Hop. Enter for your chance to win a copy of Married To Murder! I talk about what it's like to be a self-published author. Click to enter the Blog Lover's Holiday Giveaway Hop for your chance to win a copy of Married To Murder (or Honeymoon Homicide or Toxic Train). Wow - it's been so busy lately! And lucky around here!! 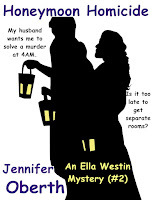 Today is the 7th day of the Married To Murder Blog Tour and I can be found at Mommy's Reading Too by Jennifer Alexander. She did a wonderful review of Married To Murder! I also wrote a guest post about how characters inspire me to write. Don't forget to enter the Blog Lover's Holiday Giveaway Hop for your chance to win a copy of Married To Murder (or Honeymoon Homicide or Toxic Train). Not only did I win this contest on Car Johnson's hilarious Blog, but I won an Amazon gift card from Emyln Chand 'Farsighted' Blog Tour. Check out the post about the book - it sounds really good. The winner will receive Married To Murder (e-book). If you've bought Married To Murder - you're awesome and will instead, receive Honeymoon Homicide. If you've bought both, you're super awesome and will receive Toxic Train when it comes out. The contest starts December 2 and ends on December 6, 2011, 11:59 PM CST. Winner to be announced on December 7, 2011. Want to find more book lover's giveaways? Check below for a complete list of participants (including my Mom). 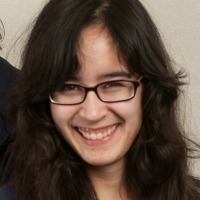 Today's Guest Post is by Feliza Casano and she's going to tell us about using social media as a benefit to writers. There are lots of ways to promote your work when you get published. In our current market, staying connected to your readers can be incredibly important! Here, we’ll discuss social networking, which can really change your writing platform and your audience in a number of ways. One way to really kick-start your readership, especially if you’re published in small or online presses, is to create a Facebook Page. Using the Facebook Pages application is a great way for any writers to put themselves out in the public light. You can use the application to share content and news updates, especially when you are getting published in online sources. It’s also a great way to build a community with your friends and fans. Another great aspect is that many, many publishers have Facebook Pages, which you can share and promote to your friends and fans. I’d recommend Facebook pages to all writers, especially those who are established and publishing. You can find me as a Facebook Page, too, where I post updates about writing and local events. Twitter is an obvious way to network with other writers. Here, you want to create an account for you as a writer so you can meet and Tweet with other writers! Let your family, friends, and fans know about your Twitter account and start following others as well. Once you have a number of followers, make sure you post links to your work that has been published by others or your own blog, depending on what you do. Figure out what Tweeters are influential in your sphere – possibly with websites like Klout, which measures how much influence specific people are on Twitter and Facebook in terms of content sharing – and make sure you follow them. Once you’re following them, remember that Twitter is a conversation tool, not an online diary. Read tweets from people you follow, click on their links, and make sure you Tweet them back. It’s a great way to start conversing – and conversations make networks. There are several ways to gain an audience – so you can try starting with YouTube. Apart from blogging, many writers use YouTube videos to gain attention for their brand (which we talked about in previous slides.) Use a YouTube channel to create Vlogs, or video blogs, to talk about whatever topics interest you. It doesn’t hurt if those topics are related to what you write about, either! One great example is Kaleb Nation, the author of the Bran Hambric series and the creator of such sensations as the blog TwilightGuy. Nation uses his video blog to keep in touch with a small legion of fans – and, if you check out his site, he’s been mentioned in publications like the New York Times, Entertainment Weekly, The Huffington Post, and more. Nation is one example of a guy who knows his way around social media – and you should learn your way around it too! Social media isn’t for all writers, but it can benefit many. If you’re interested in reaching the young adult or middle grade market, you definitely need to hit social media! Authors including Rick Riordan (of Percy Jackson and the Olympians fame) use a variety of social media to promote and gain new readership. Of course, you don’t have to be a YA/MG writer to utilize social media. Figure out what works best for you and use social networking to your greatest advantage.